As I mentioned in both of those pieces of citrus content, this fruit is all peel and pith, making it terrible for eating out of hand, but great for flavoring. Place the sliced fruit in a bowl, and toss with salt to coat. Transfer to a sterilized jar, and squeeze in fresh lemon juice until the fruit is completely submerged, tamping everything down as needed. Close the jar, and let it hang out at room temperature for two or three weeks, depending on the temperature of your kitchen. (If it’s cold, this process will take longer.) After a couple of weeks, give one of the little slivers a taste; once they reach salty-sour-funky perfection, they’re done! 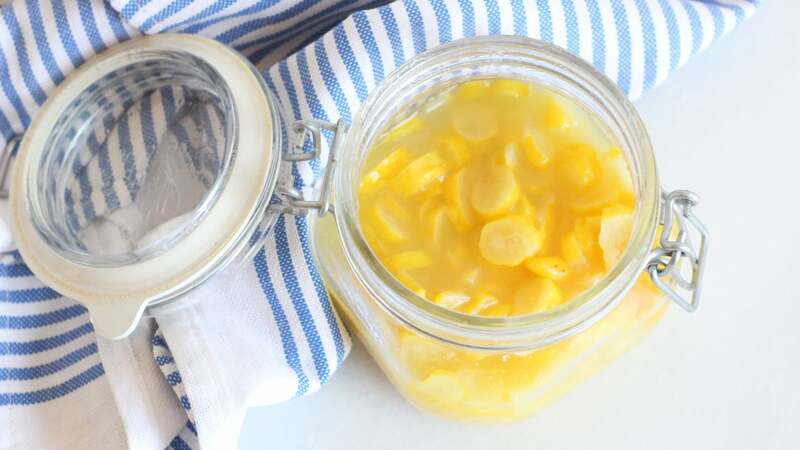 Like preserved lemons before them, you can throw these golden coins of flavour into and onto almost anything. They make an excellent garnish for any rice dish, play very well with meat, and the liquid can be used to add acid to cocktails. Put ‘em on a cheese plate if you really want to live. You have a lot of options.